Who is ready to create?! 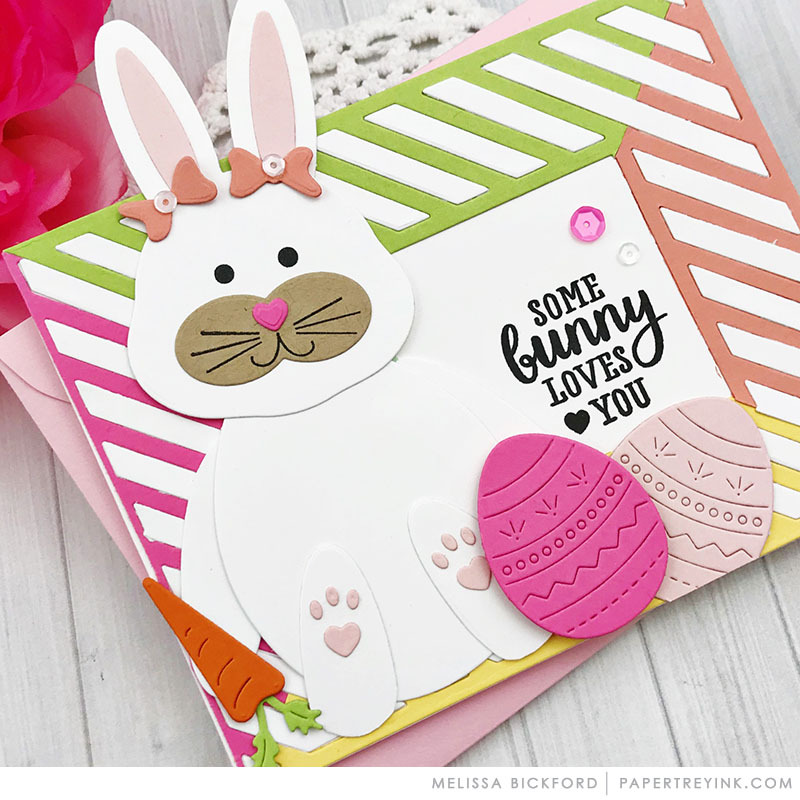 Well, we hope you are because we have some great new projects to share for our Saturday Showcase featuring Huggables: Bunny and Chick stamp set and coordinating dies. Oh my goodness! What a pleasant surprise this morning, a little something to brighten the day! These are so darn cute, I may just need to place another order! Cute project! Thanks for showing how to make these into boxes, Ashley. What a feast for the eyes and spring spirit! Lovely and fresh ideas, ladies! And a wonderful surprise to see a post today too. Fabulous! Oh my! All these samples are super CUTE! Love the box , what nice way to set these up…great packaging idea…sooo clever! Bunnies and chick all dolled up with flowers so looking their Sunday best! Ok the card…love have the bunny was made to fit and dressed with double bows to boot plus all the details. Thanks for such a happy set chicks and bunnies…Yeah!! So cute! Thank you for the ideas and thank you for the video. Ashley did a good job explaining how to do the box and you got to see her in her studio. Melissa’s sitting bunny is so clever & creative! Love all these sweet, beautifully Springy projects! 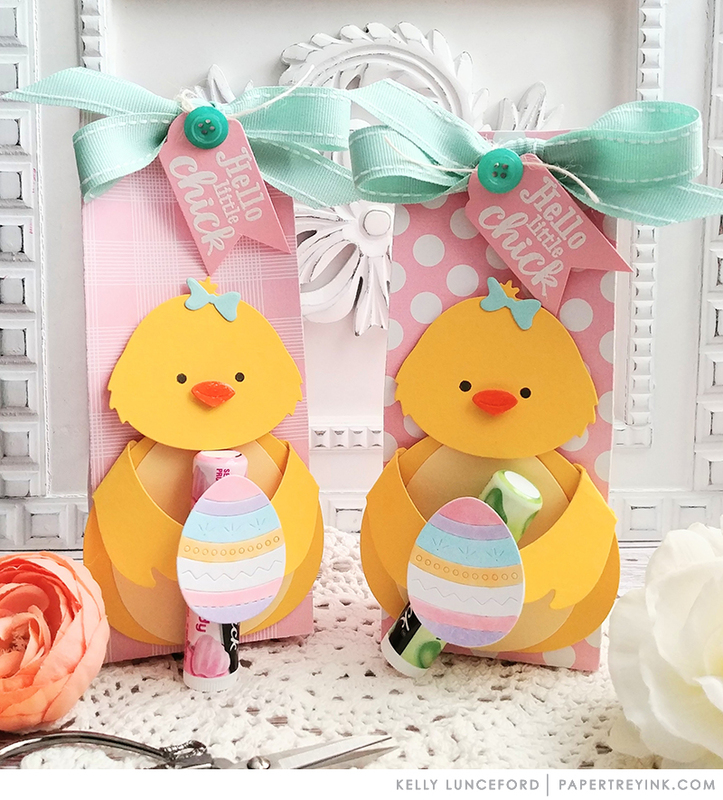 These are really cute, and I would love to make them, but as I find often with the ideas lately, the dies are usually not in stock (or sometimes it’s the stamps, but rarely are both in stock). It’s disappointing. I wish Papertrey would feature projects we could try if we haven’t already purchased the products. I’m always willing to spend my money, but can’t-what a problem! I have these dies and love them. Such cute ideas shown. The video was great. 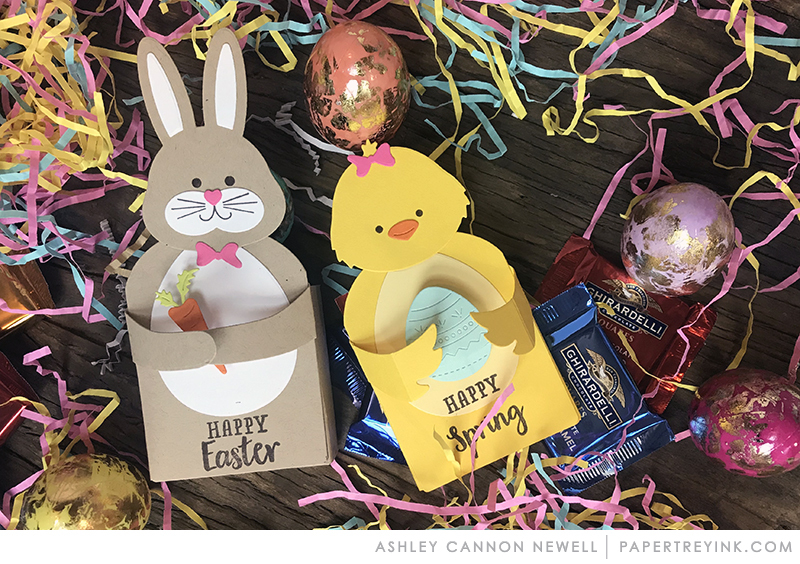 Can’t wait to make some Easter treat boxes. Thanks for sharing. Oh how adorable!! I am going to go and change my order, I want these dies and stamps so freaking cute. You did such an awesome job on your projects, thank you for sharing!! I, too, placed an order yesterday for the Huggables: Bunny and Chick after seeing this post. 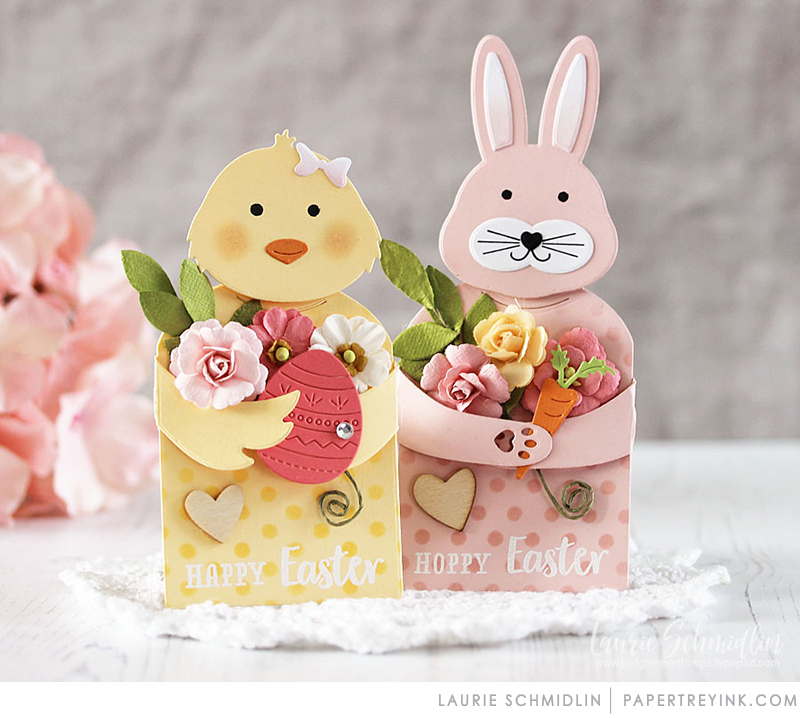 I also ordered sweet blush and lemon tart card stock after seeing Laurie’s sweet pastel bunny and chick. Thanks for getting us excited about spring! Super cute ideas! I plan to use some of them this Easter. My favorites are the treat boxes Ashley made. Simple but really clever. Thanks for all the great inspiration!